• The 3"x3" Round Corner Magnets are perfect for distributing at promotional events. 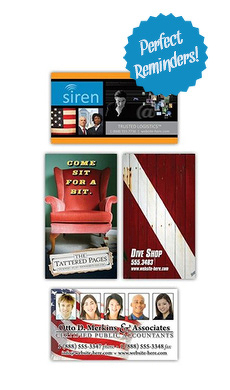 These magnets will keep your perspective customers thinking about your business. • The round corner magnets are ideal for the use of promoting any company or any event. The 3"x3" size creates plenty of room for your company's logos, colors, and contact information. • All of our magnets are professionally glazed with a laminated finish and include the four color printing process to create an appealing imagine with an infinite number of colors. If you want customers to keep your business in mind and make a lasting impression, think the 3"x3" round corner magnet. I just got my second order of business magnets from Your Promo People and I couldn't be happier. The communication is almost instant after you place an online order. All the details of your order are discussed before anything is printed. The product is shipped very quickly. My customers are very impressed with the product. These magnets are fantastic. Thanks so much!